Navarra export catalogue - Verkol, S.A.
Verkol was founded on 1927 by the two families that, today, still own the company. 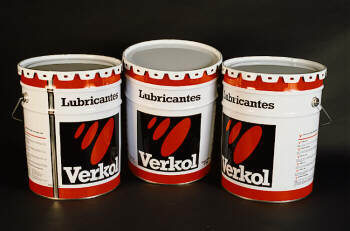 Nowadays, Verkol is one of the few independent manufacturers of lubricating oil and grease, not belonging to any multinational, and being our strongest point the manufacturing of greases; in fact, we are the leaders in the Spanish Market of Lubricating Grease. 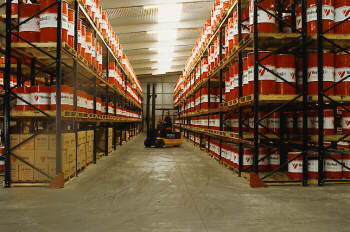 Verkol Lubricants is backed up by more than 75 years of continued Company growth. The field proven high quality of all our products, proceeds from specific strategic objectives: flexibility, creativity and innovation. Since 1994 Verkol Lubricants is working under the ISO-9002 certification, authorized and later on renewed by Lloyds Register Quality Assurance. This year 2002, we have obtained the ISO 14001.